Words for the wise, that quote is. Sometimes you just need something rich and fatty for dinner. I know tonight is that night for me. This recipe breaks THE big no-no in most people’s diet books but the result is worth it. Luscious sauce with piquant pieces of pancetta, capers and sun dried tomatoes complement the shellfish perfectly. 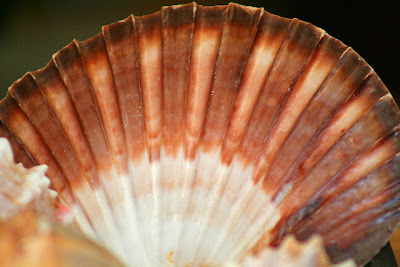 I chose to use scallops only but you can use a blend or another type altogether if you wish. There’s three options in the recipe below. Always choose the freshest shellfish possible. Always purchase the freshest shellfish possible. At certain points in the year you can only get (affordable) frozen of some kinds of shellfish. You can tell the difference, but frozen can be used, of course. The worst one frozen is lobster. The texture is different – almost rubbery. This recipe is a little open ended in that you can use a medley of seafood or restrict yourself to just one. I would suggest that clams and mussels be off the list all together for this. 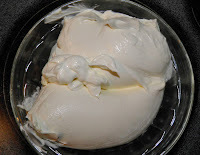 The richness of the mascarpone would overwhelm them. One last point, if you’ve never eaten a raw scallop – and your scallops are very fresh – pop a piece into your mouth. You’ll be very surprised. Those of us who eat sushi know of what I speak. Cook the pasta according to the package instructions while you make the sauce. 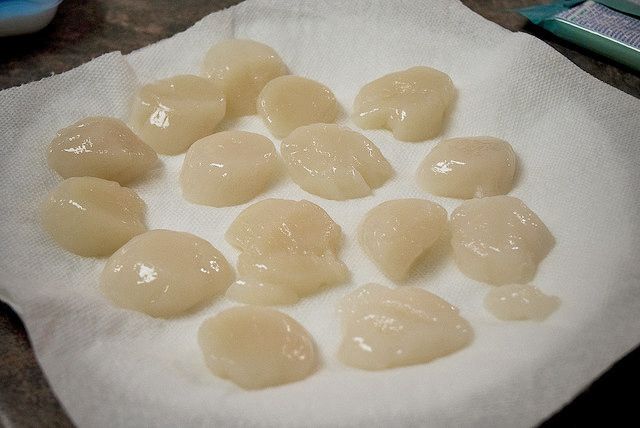 If at this point you are using shrimp and/or scallops, fry quickly on each side until nearly done. Do not crowd the shellfish in the pan. Do in batches. If using all scallops, sear a brown crust on both the bottom and top of each piece. 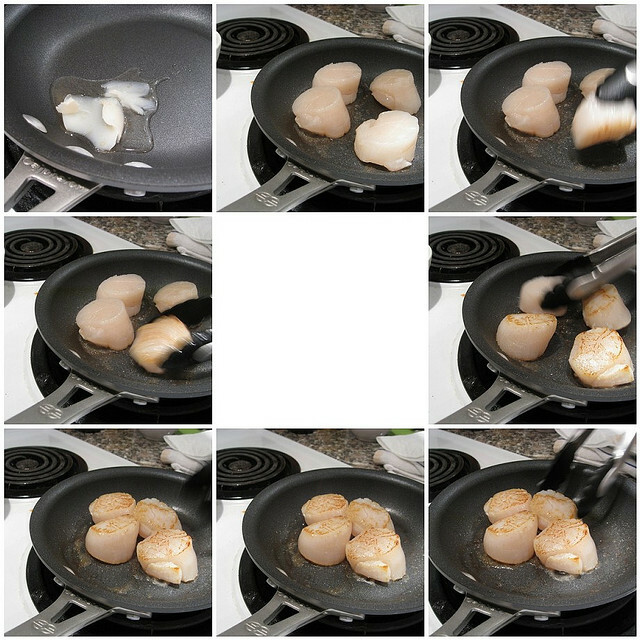 Scallops fry in about 2-3 minutes per side. Shrimp are faster. Do not dip scallops in flour. Just sprinkle them with a little salt and pepper. All that does is make a lumpy mess and steams the seafood as opposed to searing. Just let each cook on one side until it naturally releases, then turn and do the other side. Perfection every time. Butter or olive oil. Salt and pepper only. Sear on each side. Easy. They need to be cooked a bit more than in the picture for this recipe. If using only precooked lobster this step can be skipped. Remove the seafood to a plate. Add the shallot, garlic and pancetta. Fry until slightly crisp, about 3 minutes. If necessary add a little more olive oil. Add the capers and sun dried tomatoes. Fry for a further minute. Stir in the mascarpone, milk, oregano, salt and pepper. Heat until just simmering and then add the seafood and heat through. Serve over the pasta with parmesan grated on top.